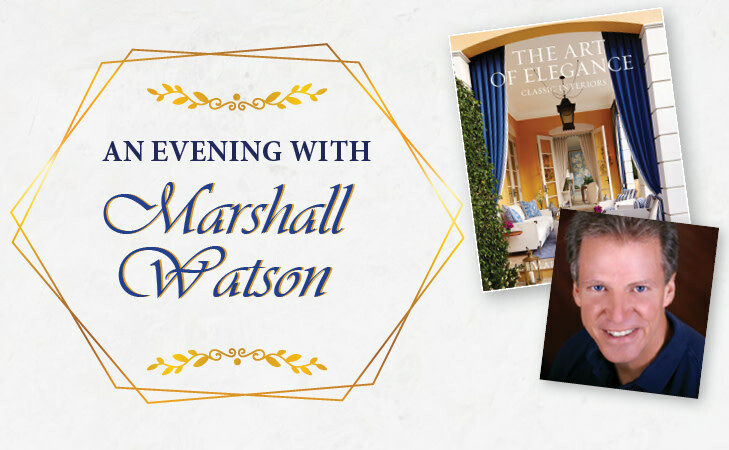 Marshall Watson, author of the book "The Art of Elegance: Classic Interiors," comes to the Indiana Design Center to share his design philosophy in a special event to benefit the Carmel Clay Public Library Foundation. A New York-based interior designer, Watson is best known for creating classic, light-filled, elegant interiors with a modern sensibility. Winner of Traditional Home's "Designer of the Year" award and feature on Luxe's 2017 Gold List, Watson's work has been featured in numerous publications, including Architectural Digest, House Beautiful, Veranda, and Cottages & Gardens. Hors d'oeuvres and spirits will be served. Book sales and signings will follow the presentation.